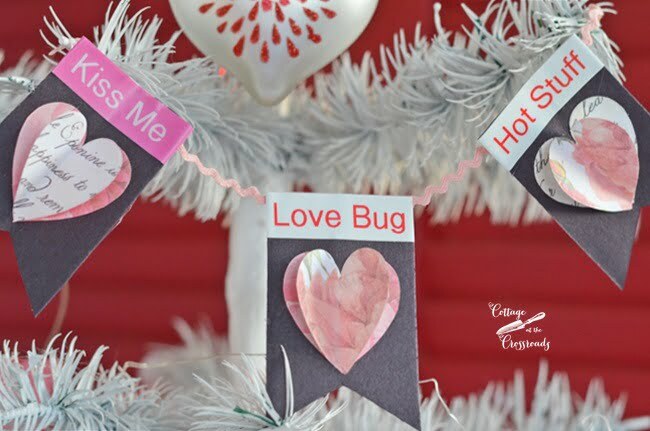 You are here: Home / HOLIDAYS / Valentine’s Day Tree and a Giveaway! Valentine’s Day Tree and a Giveaway! Happy Valentine’s Day, everyone! I have one more Valentine’s Day decoration to show you, and it’s a Valentine’s Day Tree! You may remember the little scrappy tree that was given to me a few years ago, and if you’re a regular follower, you’ve seen it decorated for several seasons now. Here’s the latest version-a pink and red Valentine’s Day Tree! The decorations were put together with some things that I had on hand with the exception of the garland that you see above. I had a little help making that! I used this brand, spanking new Brother P-Touch Label Maker to personalize the garland with some cute “conversation heart” sayings. I was sent this label maker to review, and I’ll have to say that this is the easiest one to use yet. All you do is pop in some batteries and a label cartridge, put the printed directions in front of you, and before you know it, you are creating some nice looking labels! The laminated labels are super easy to use because the back peels off so easily because it is split down the middle. I used some black construction paper to make the bunting and added the labels to the top. I already had some printed paper heart “scatters” so I glued some onto the bunting. 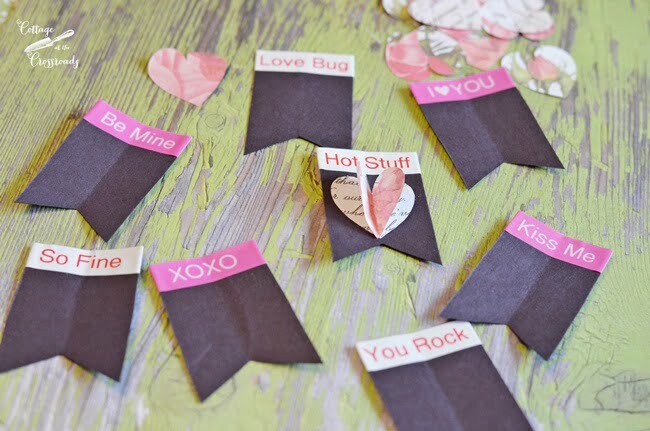 To give the hearts a little 3-D effect, I folded some in the middle and added a little glue along the crease. Such a quick and easy decoration for my tree, don’t you think? The pink labels with the white print and the white ones with red print fit into the whole pink and red theme I have going on! So pleased with how a little paper and some labels made such a cute decoration for my tree! 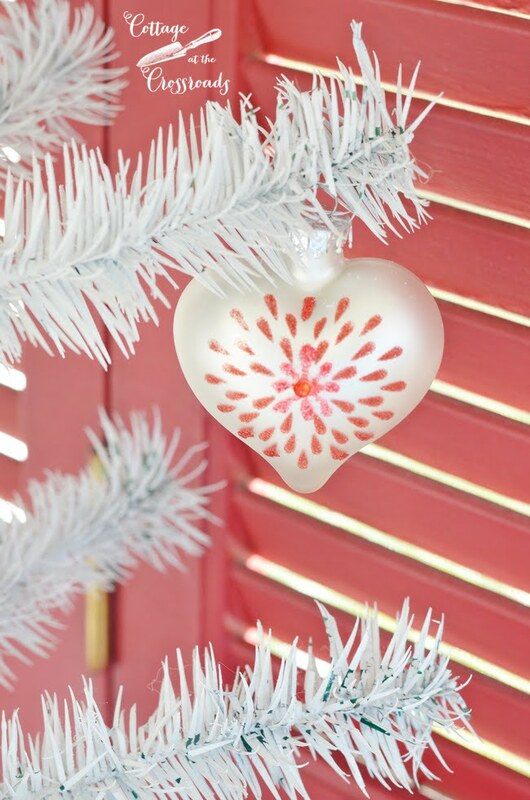 I already had the heart ornaments that I purchased a few years ago. A little red ribbon got embellished with more of the paper hearts and some heart buttons that I found in my stash. 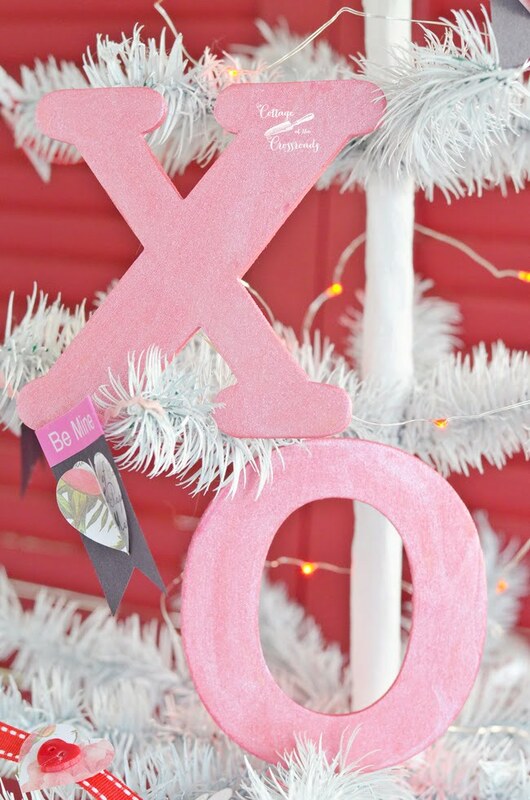 And I added the pink X and O wooden letters that I had used in a previous year. In this photo, you can see the red fairy lights on the tree that give off such a pretty glow at night. Now every tree needs a skirt, right? 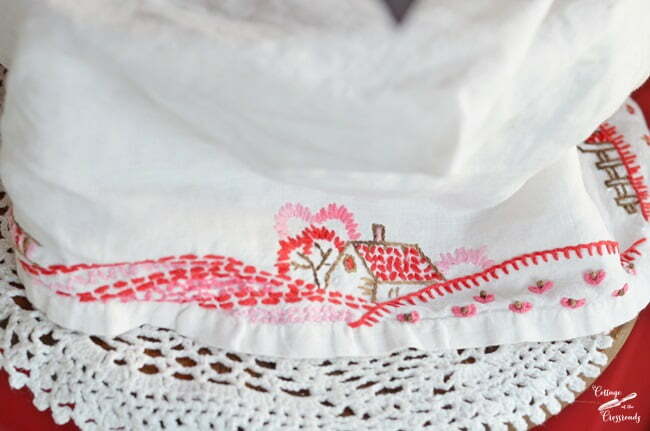 I remembered that I had this scrap of vintage embroidery work done in pink and red. I know it looks great here as a little skirt for my tree, but I really hope to think of something that I can make with it. 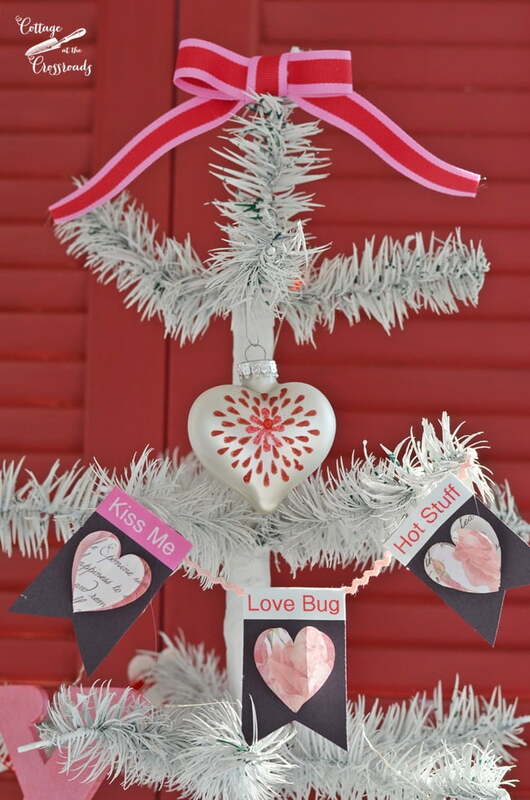 Love how my little Valentine’s Day Tree turned out this year, and because I love you, dear readers, we are having a GIVEAWAY! The nice folks at Brother are providing not one, but THREE label makers for me to give away! Who wouldn’t love such a handy device to create labels for all sorts of things? And if you can’t wait to find out if you have won the giveaway, the same Brother P-Touch label maker and tape cartridges are available on (affiliate link) Amazon. 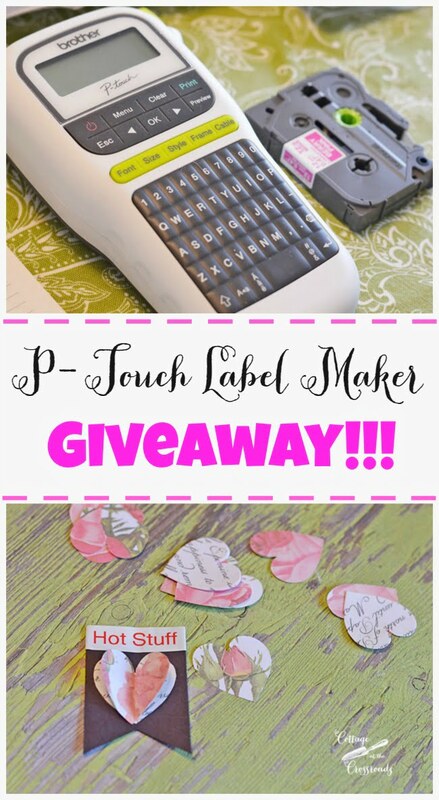 All you need to do to enter the giveaway is to leave a comment below telling me how you would use the label maker. Three winners will be randomly selected on Friday, February 17 at 6 PM. Winners will be contacted by email and will have 48 hours to respond. If no response, another winner will be chosen. Disclosure: I was given a Brother P-Touch PTH110 Label Maker and several cartridge tapes to review,but all opinions are mine. Some links in this post are affiliate links which means that I will earn a small commission if you make a purchase. Thanks for supporting our blog in this way. To see the rest of our policies and disclosures, click HERE. Update: This giveaway is now closed. Thanks to all who entered. The winners are Judy, Janis, and Becky and will be contacted by email. What couldn’t I label with this?!?! Crafts, kitchen, holiday decor, shoe boxes, sewing notions, cords-so many cords that need labels! The list goes on and on! Love the tree! Would also love this label maker to help me in my organization and some crafting, too. Thanks for the ideas! I’m a teacher, mother, and grandmother. There are so many different ways that I could use a label maker! I’d love the opportunity to see how many ways I could find!! I would organize my craft supplies – and perhaps use it in making greeting ! Adorable Valentine tree!! I would love to organize and label the baskets for easy access. 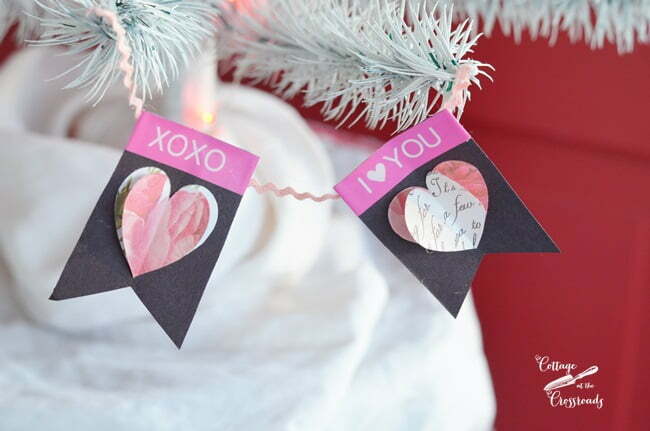 Love the little banner you made for the Valentine tree. This would be great for kitchen and bathroom labels,but also for the kids for school. The Brothr label maker would get no rest in my house. I would be using it to help me with my “organizing” project – How to find things in unlabeled containers!!!! Love your blog. It is very comforting to see how you & Leo live enjoying the joys of a happy life. I love to label everything from storage boxes to circuit breakers and keys. I would love to donate a machine like this to my favorite first grade teacher so she can spiff up her organization efforts. After a year and a half it took to clean out my mothers house, a label maker would be great with sorting boxes of “everything”. I’m a nut for separating and organizing. Too much my kids say. Haha! Love the decorations you made with this!! A very useful thing to have!!! Absolutely a multitasking machine!!! Love it! 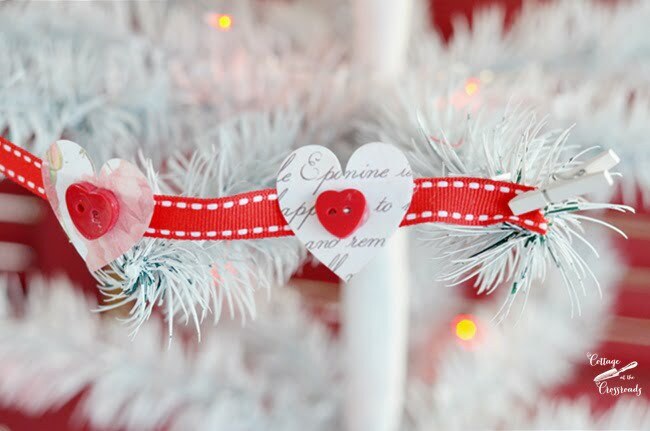 Your Valentine Tree is so cute and your vintage tree skirt is adorable and looks like it was created for the Valentine Tree. 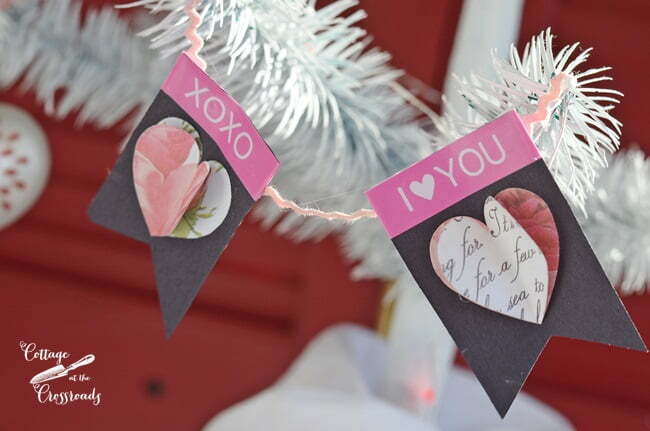 It’s so SWEET and a charming decoration for Valentine’s Day. 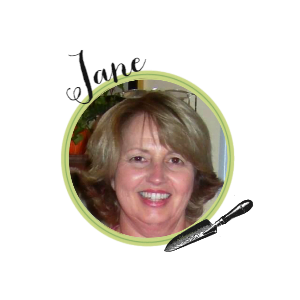 Thank you for sharing and inspiring me Jane. I have been wanting a label maker for a long time. I would like to label a bunch of stuff in the garage. I would first have to clean and organize it again. I love your tree…that is so cute and creative! Label makers are life savers, that’s for sure. The one I’ve used for the last few years is truly on its last leg! 🙂 I’ve recently started reorganizing our pantry and could use a new one to label all of the new plastic containers! Happy Valentine’s Day! Organizing and labeling the hundred+ storage containers in my house! There are so many ways that I would use a label maker, but to start out I would use it to label all of my storage boxes. This is awesome!! There would be so many things I would love to make with this!! I know something at the top of my list would be to make some of those cute little things I always see on Pinterest for my kids’ classmates! Thanks for the chance! 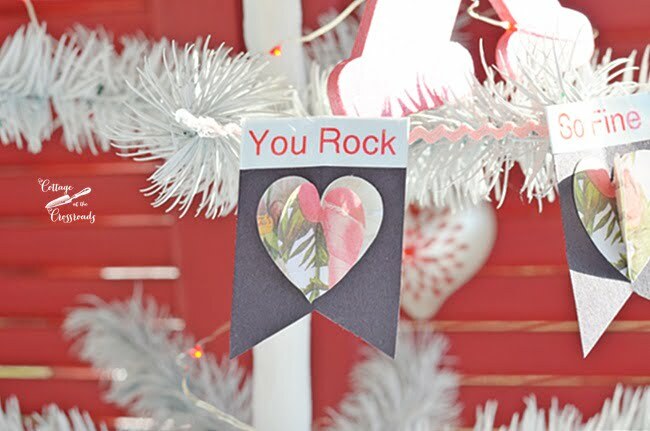 I love your Valentine’s tree and the fun decorations you’ve made. I will use the label maker for my new pantry organization making labels for the storage baskets. And then there’s Easter and other fun days to create pretty bling with the label maker. I need a Valentine’s Tree! I have one for Christmas, Halloween and Easter, so why not Valentine’s Day? Yours is perfect! I would use my label maker to help me organize my sewing room. I’d label my fabric baskets, craft drawers, patterns, and ribbons! I need one of these too! Your tree is adorable, but that skirt made it. How sweet! another lovely post. I label all of my tax documents and shops files with labels. I could certainly put this to some good use. Thank you for the giveaway opportunity. I invite you to stop by and enter my giveaway too. Hugs! I have so many uses for a label maker. I would label all the many, many storage totes I have. I would also use it to label all my plant markers and stakes. I could label laundry sorting baskets. I could label so many things, the list could go on and on. 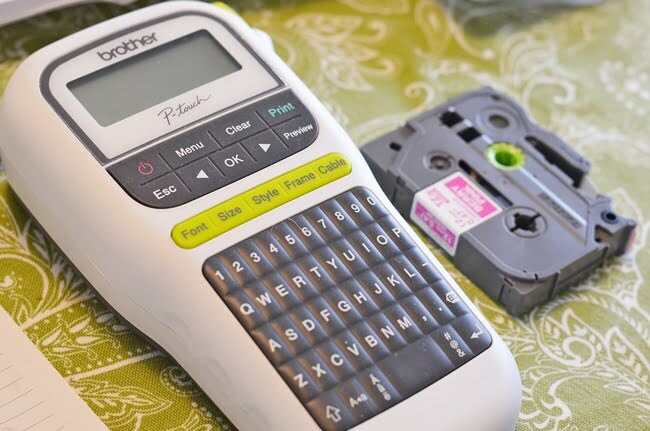 The Brother P-Touch PTH110 Label Maker would make my life a lot more organized and easier. I could use the label maker for so many things. The first thing I would use it for is to organize my craft room and label everything. I love the garland you made for your little tree. Such a fun and festive tree you have made. I can think of lots of ways to use the label machine in the craft room, kitchen, bathroom and in the barn.Also I would label all my boxes and containers of decorations. I love gadgets that make organizing fun. I am on the search for a cute little tree to decorate for holidays like: VD, St.Pat’s, Flag, 4th of July and birthdays. So many options. Thank you for the idea. What a great giveaway!! I would label everything that I own! Finally things would be retrievable, because I would know what was where! Love your blog. It makes me happy every time it appears in my email! Precious! That is your tree is precious. How would i use the label maker? Let me count the ways,: Labels ~ for bottles I put the herbs I dry in ~ canning jars, kitchen shelves ~ so the dishes and groceries get put in the right place ~ book shelves, to post scriptures on mirrors and various other places, to keep track of which power cord goes to what, to make plant markers, labeling the flip switches in the breaker box and pipes and valves, various crafts and goodness knows what else! I am trying to organize my house.BIG JOB!I would love this to help me do this HuGe TaSk!!!!!!!!!! !It would be so cool to win it!!!!!!!!!!! First of all, Happy Valentine’s Day to you and Leo!! !…you two are such a cute and loving couple! I am a labeler!…Love to label everything…and so does my hubby!…even more so….so I have to always “borrow” his label maker…it would be great to have one to call my own!!! 🙂 Love the tree…the garlands are so creative!! !..My fav is the rick-rack. Brings me back to my childhood. Again, Happy Valentine’s Day you two!!! It would be nice to make labels for my canning jars.. Wondering if you decorate for St Patrick Day? I have an older Brother Label Maker and would love this new model. I use mine all the time and it is just about worn out! I would label some of the containers in my kitchen. Love your Valentine tree!! 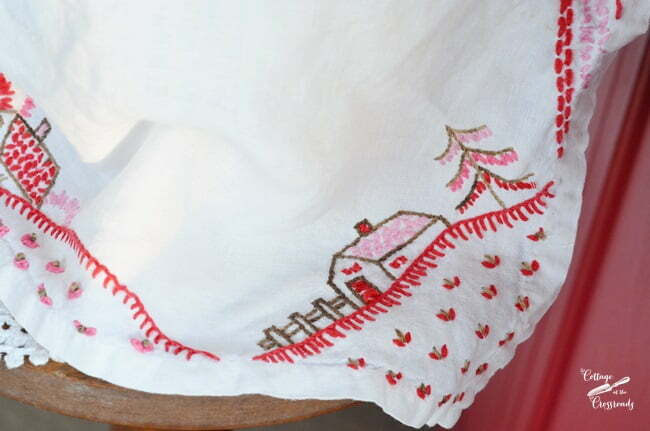 I like your heart label tree and the pretty tree skirt scrap with embroidery! I could use this label maker in so many ways it would take all day to tell. The first thought that comes to my mind is in the craft room. I have tons of crafting supplies for so many mediums it would take up your page to list and guess what they need labeling! I am reorganizing after the hurricane damage and repair so it would especially be useful now! That was just the first thought I have many more ideas! Thanks for the giveaway! Happy Valentines Day to you and Leo! Thank you for such a great giveaway! I would love to win one of these label makers. My kitchen pantry is in dire need of labels and this would be perfect! Thanks again and have a very happy Valentine’s Day! I would make labels for all of my craft storage containers. I also like your idea of decorating a small tree with the labels. The first thing I would do is make nice labels for my files. i would use it in my kitchen to label my containers and y new spice rack that i made. happy valentines day i hoope you have a great day . I like to leave random notes and such arlund the house to sursurprise my husband, I would use it to make my notes more fun. I am decluttering and organizing our home and would love to have a label maker to label baskets, containers, and items in our pantry.